Here we have the ultimate in useable Campers! 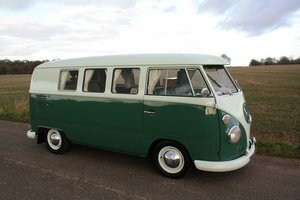 It is a 1967 VW Type 2 T1 Campervan, fully restored and upgraded including a crated 2 Litre VW Golf Engine! It drives great, is Right Hand Drive, in a perfect condition, and ready for the summer! Delivered new to South Africa as a genuine RHD transporter. Having spent its days in the warmer climates of the southern hemisphere this bus avoided the rust and rot that so many others fell to. 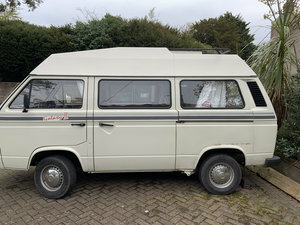 The bus was discovered in a used but solid state, mostly original and in all round good order in 2015 when the restorative works were initiated. 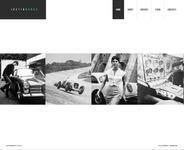 The works were conducted by East Coast Classics, a well-known restorer and VW specialist in South Africa. No stone was left unturned in making this every inch as remarkable as you see it in the photos but also mechanically updated to handle the speeds and pressures of modern day traffic. During the restoration a 2015 crated engine 1996cc VW golf engine was installed, complete with uprated brakes, exhaust, power steering and air conditioning for those long summer journeys. Not only does this bus travel and accelerate well, it also has the stopping power and balance. The bodywork remains mostly original with panel and parts replaced where necessary. 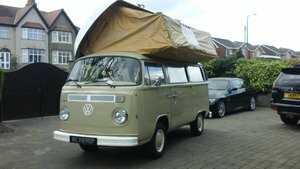 The SO24 Westfalia style interior was fabricated and installed and the Doormobile roof fitted complete with twin hammock bunks, a rock and roll bed, blackout blinds and tailored canvas. Stainless steel fixtures and fittings were fitted throughout the car where possible, these are to include the pop-out windows, mirrors latched and VW insignia. Panels were insulated for both sound and warmth when camping, a dual battery system was installed and the vehicle is equipped with both UK and euro plug inverters and 3 pin hook up charging capabilities. The interior is finished in black vinyl with white piping and red/with dishcloth curtaining, and complimented with modern sound from its ‘Retro Sound’ stereo system. For safety, seat belts were fitted to the front and rear seating areas, including adaptation for fitting a childs car seat. 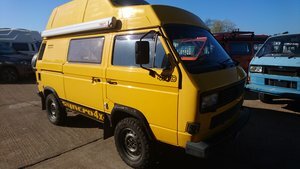 This bus currently displays 78000 miles, which although it cannot be verified as correct, there is a possibility that it may be genuine as the structural integrity of the bus is very good, it was rot free with all floors and panels solid and gutters and door bottoms crisp and clean. As far as splittys go, it is one of the most modern and fun out there. 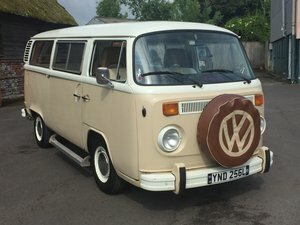 It is completely unique and could just be the ultimate in VW campers for it has both style and practicality. 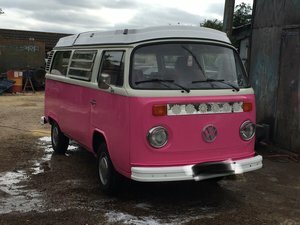 If you love the style of these Split Screen Vans but want to go faster than 45mph, then this is the perfect solution, all the hard work has been done, it is now ready to be used.